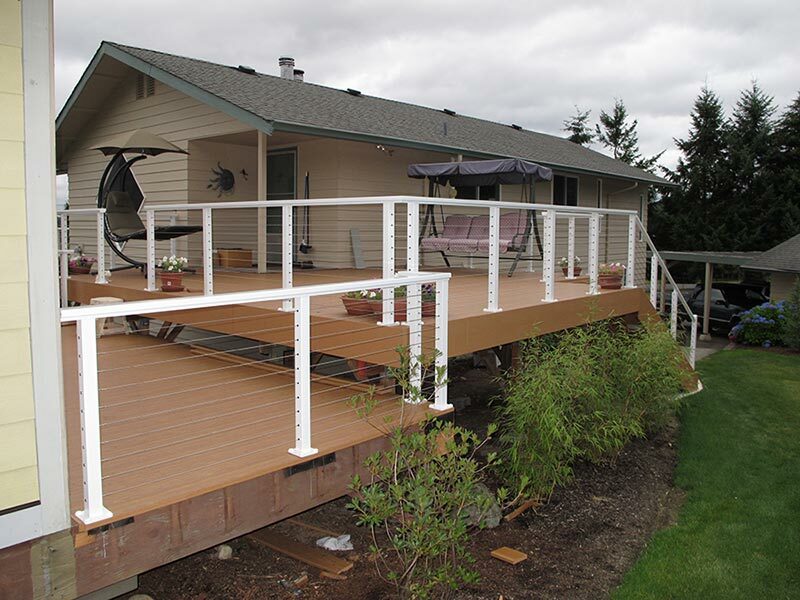 This deck and railing was a do-it-yourself project by a local retired gentleman. 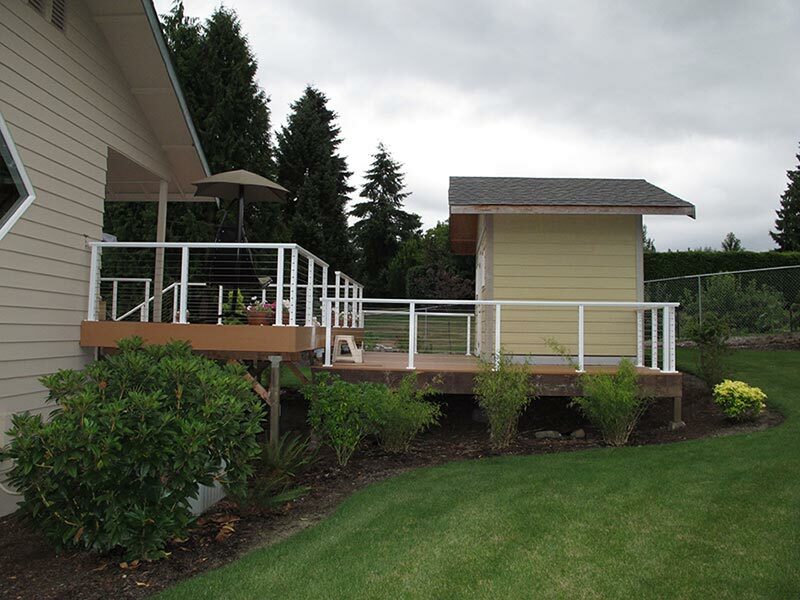 The photos were taken near completion. 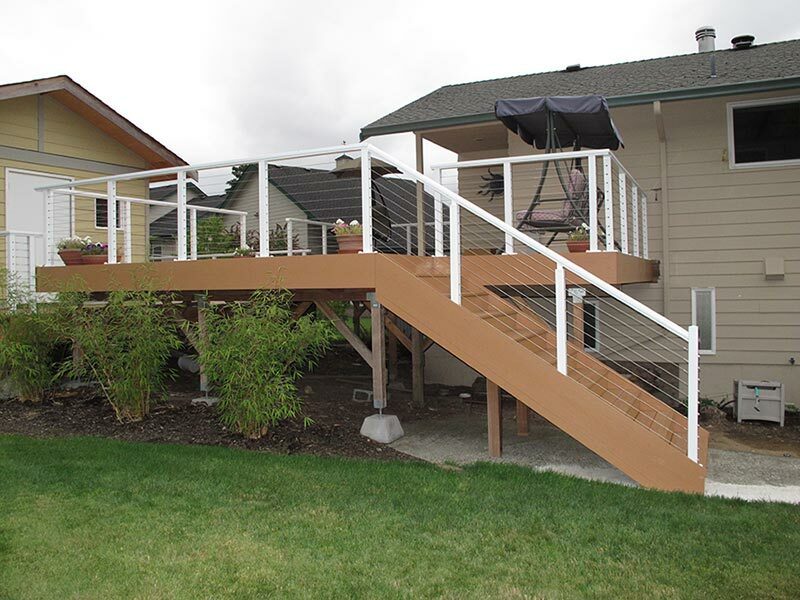 Smaller stairs connecting the upper and lower decks were later added. 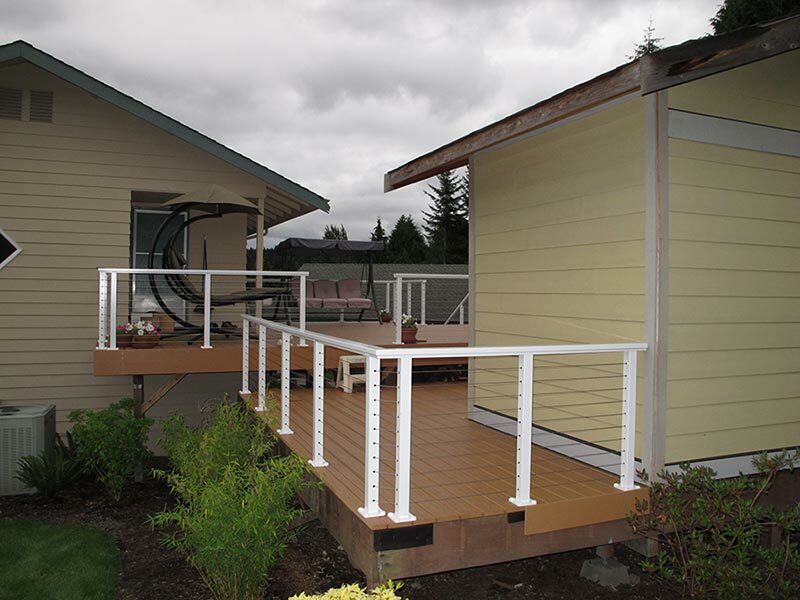 The deck included many of the design elements that generate questions from do-it-yourself builders. 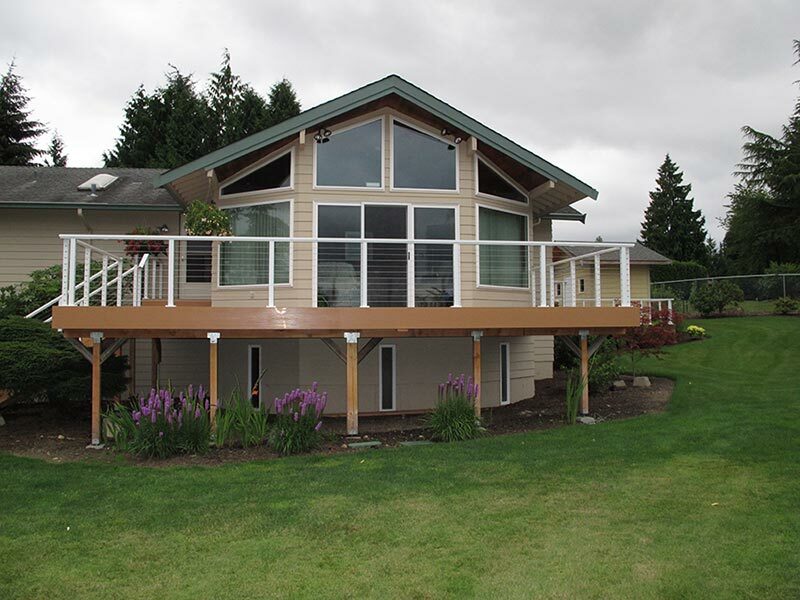 The deck includes multiple levels with both in-line and perpendicular stairs. There were places were the top rail dropped and flattened out and a short return. 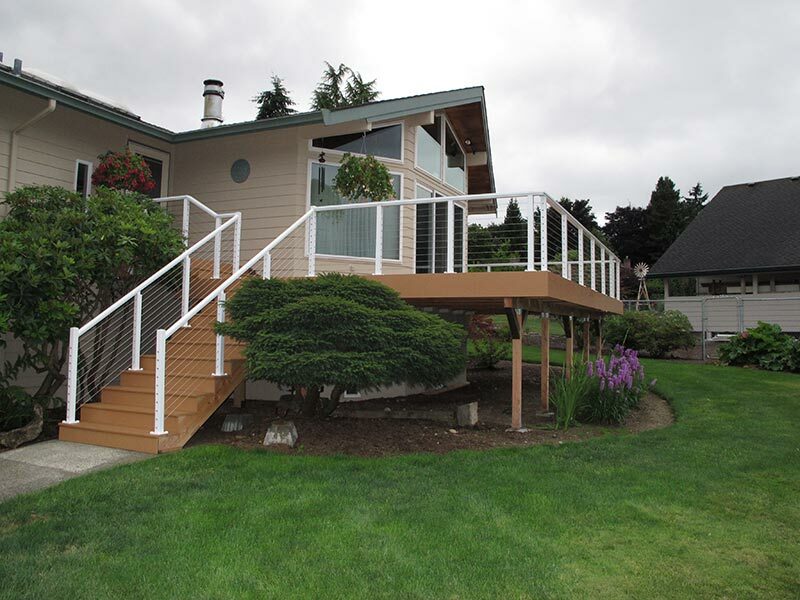 The flexibility our Alu-Rail™ railing system allowed us to meet all the design needs with and easy to install clean result.